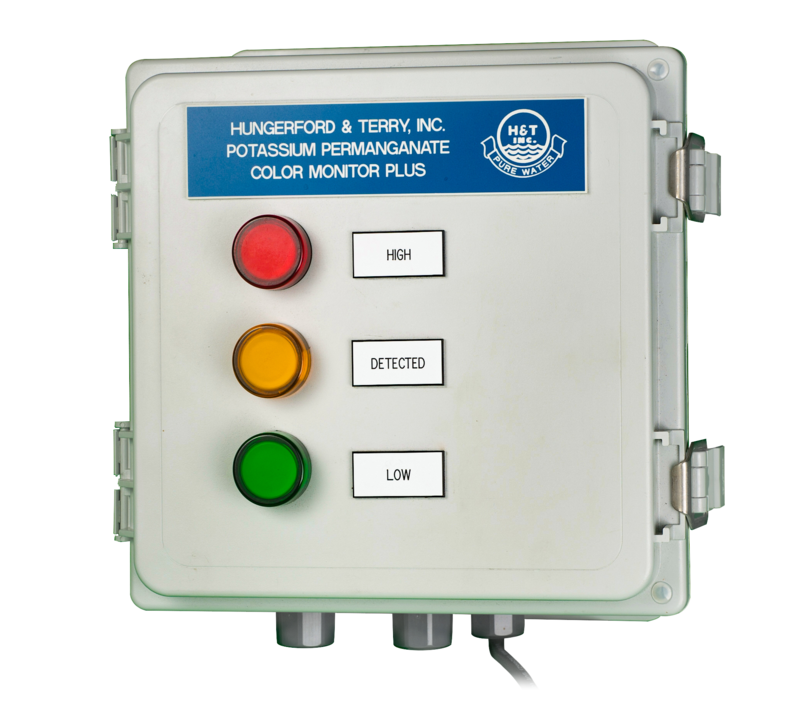 Potassium Permanganate Color Monitor | Hungerford & Terry, Inc. 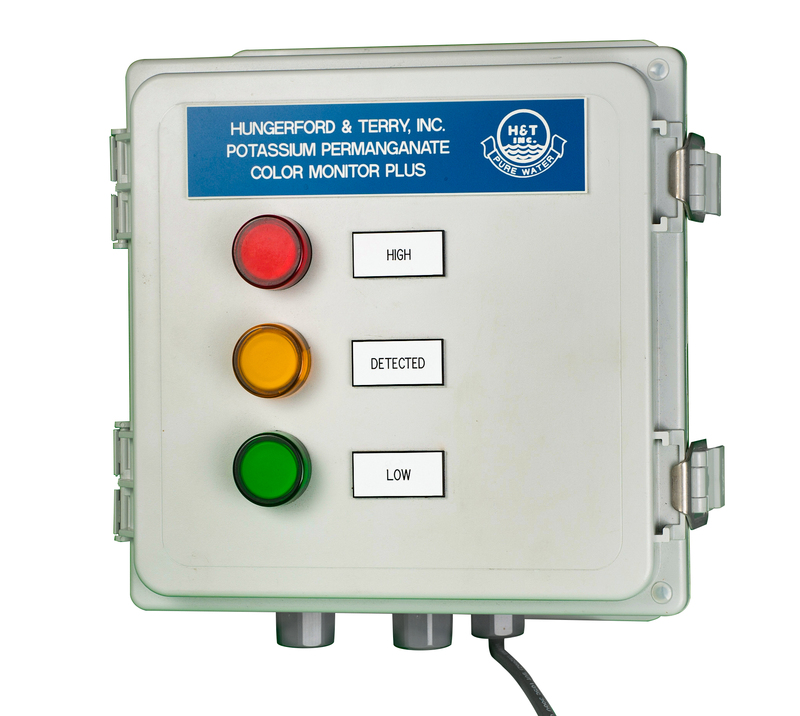 The Hungerford & Terry Permanganate Color Monitor Plus provides for the continuous monitoring of water treatment plant effluents that use potassium permanganate in the treatment system, such as the H&T GreensandPlus™ CR (continuous regeneration) process. 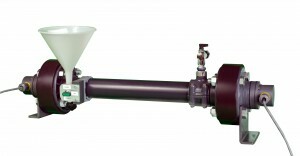 The color monitor continuously views a sample taken as a sidestream from the plant or filter effluent. Spectroscopic quality optical filters in the sight tube then identify, if present, the specific color for potassium permanganate. 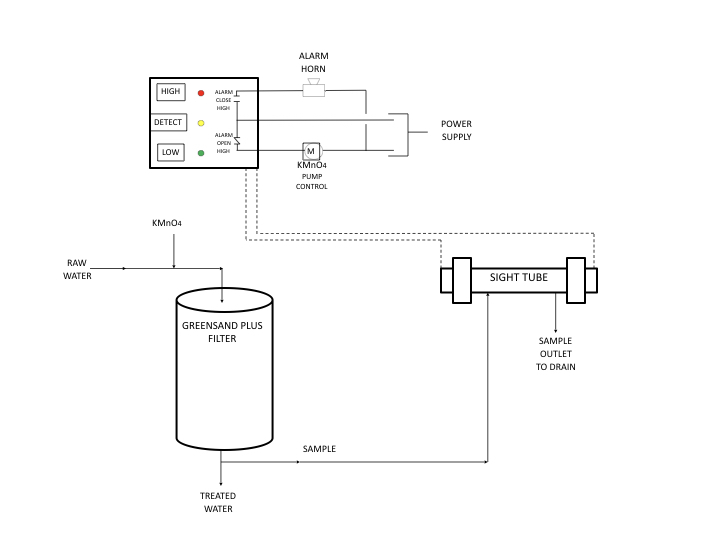 A positive reading, indicating a faint pink color, will send an electrical signal to the control box which will then operate a relay that can be used to shut off the permanganate feed equipment or signal an alarm indicating an overfeed. 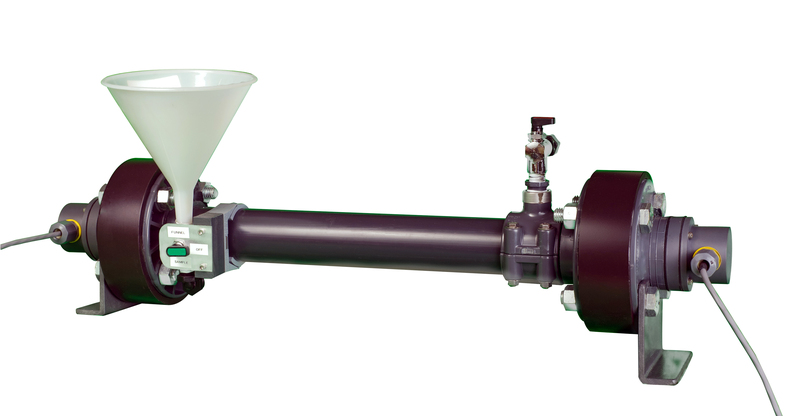 The monitor is extremely sensitive, being able to detect potassium permanganate at a minimum concentration of 0.125 ppm permanganate. This would be equivalent to a manganese concentration of approximately 0.05 ppm. The sensitivity of the monitor can be varied by use of an easily calibrated set point. For additional information on this process please contact your local Hungerford & Terry represenative; or you may email sales@hungerfordterry.com or call Brian Reynolds at (856) 881-3200 ext. 273.